Posted September 29, 2016 by finnfemme & filed under Beauty, Fashion, Vintage. This 1985 Prell shampoo ad featuring one of my favorite models, Christie Brinkley, is pretty awesome. First of all, THAT 80s HAIR! Thick, full and natural-colored; she was in possession of quite the mane. 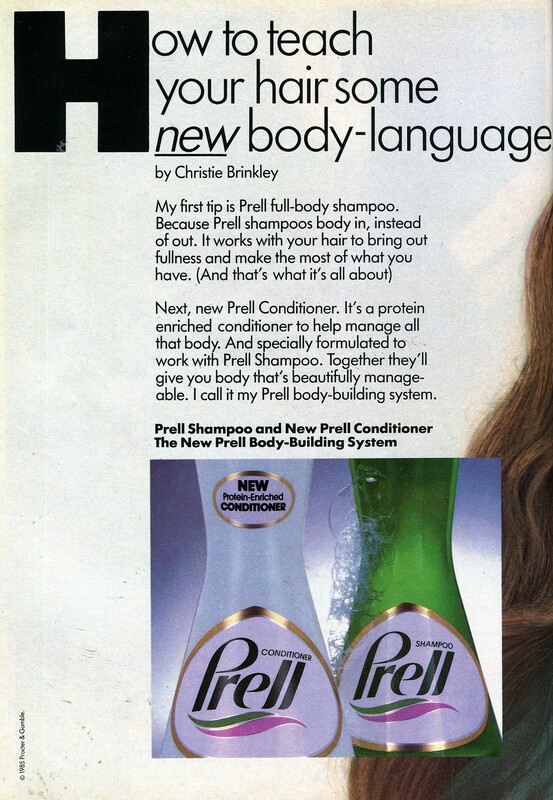 In the ad, Christie gives the credit for her bouncy tresses to Prell Shampoo and Prell Conditioner: Because Prell shampoos body in, instead of out. It works with your hair to bring out fullness and make the most of what you have. 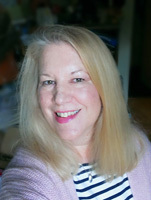 I can’t use Prell shampoo anymore because I color my hair. I have to use all manner of “color preserving” shampoos and conditioners now. 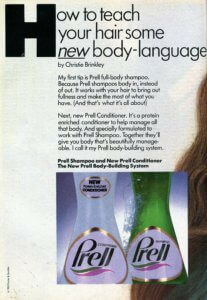 But back in the day when I did use Prell, it was pretty amazing stuff – my hair was super clean and full of body. So I agree with Christie, vintage 1980s speaking!